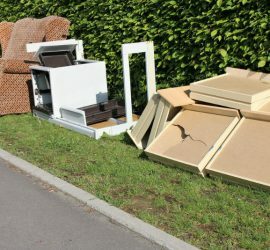 Need affordable Gold Coast rubbish removal? We provide fast, friendly and reliable rubbish removal to all areas of the Gold Coast. Require heavy furniture or rubbish disposal on the Gold Coast? Our specially designed trailer crane can lift up to 300kg. Let us help you! Renovating your apartment or extending your office? Our fitouts rubbish removal service makes renovating and extending easy. Need white goods removal & disposal on the Gold Coast? Ready to get rid of those old white goods? Let us remove your unwanted items for you! Need Green Waste Removal on the Gold Coast? Too much green waste for a council bin? Let us remove your pile of excess greenery, branches, and stumps! Clean Up Gold Coast can remove all types of rubbish from your Gold Coast home. Safe, reliable and affordable, we do the hard work for you. Free quotes available. Our green waste disposal service is available to homeowners and businesses on the Gold Coast. 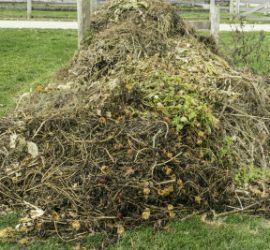 We remove branches, stumps and all other garden waste. 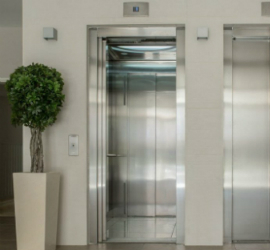 Perfect for modern apartment buildings or offices, our professional team can move all your rubbish, old furniture and any other junk you need to get rid of. Clean Up Gold Coast is happy to provide you with a fast and free quote on any of our services. We will go out of our way to fit you in on your preferred date and time. Our aim is complete customer satisfaction, so we always arrive at the agreed time, clean up your rubbish with minimum disruption to you and your neighbours and leave no trace behind. Recycling is also part of our policy. Anything that can be reused or repurposed is taken to the appropriate recycling centre and all waste is disposed of responsibly. We remove rubbish from all Gold Coast suburbs including Southport, Upper Coomera, Merrimac, Miami, Reedy Creek, Paradise Point, Surfers Paradise, Robina, Labrador, Nerang, Helensvale, Pacific Pines, Varsity Lakes and Palm Beach. Talk to us today about how we can assist!